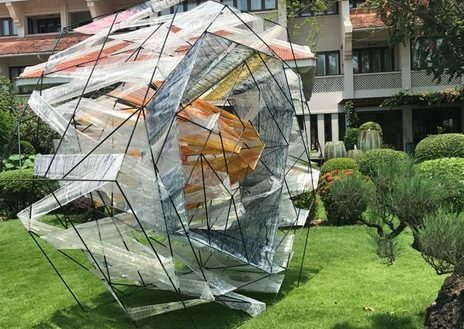 A large scale contemporary art exhibition, titled ‘Spreading silk’, will be held for the first time in the ancient city of Hoi An on April 13. The installation to be displayed at the exhibition. The exhibition, which is implemented by painter Tran Thi Thu,is the first event to celebrate the 20th anniversary of UNESCO's recognition of Hoi An as a world cultural heritage. On display will be three silk installation clusters, with traditional indigo dyeing technique, which combines water colour, Acrylic and new experiments. 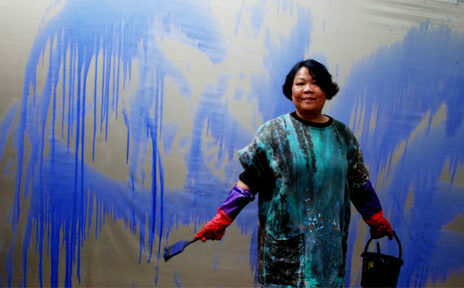 In addition, an exhibition will feature 40 abstract paintings on silk as well as latest fashion designs in silk that were jointly created by painter Thu and designer Pham Hong – a famous contemporary artist for many art works with high cultural values. The programme was inspired by silk – a material adding to the unique beauty of Hoi An ancient city for generations. After the exhibition, the installations will be showcased at the Alamnity Hoi An Wellness Resort within one month.